When you take out an installment loan, you get your money in one lump sum and repay it over time in (usually) monthly installments. Installment loans can be short-term (for example, a 12-month personal loan) or long-term (like a ten-year motor home loan). Loans can be used to purchase expensive items like cars or boats, or you can borrow cash for any purpose. Installment loans come in amounts ranging from a few hundred dollars to hundreds of thousands of dollars. Installment loans can be secured or unsecured. When a loan is secured, the borrower puts up collateral – an item of value that the lender can take if the loan is not repaid as agreed. For example, auto loans are secured by the car being purchased. The automobile is the collateral, and if the borrower fails to make the required monthly payments, the lender can repossess it. In addition, if the value of the car being repossessed is less than the loan balance, the lender can sue the borrower for the difference. This difference is called a deficiency, and a lender who wins in court is awarded a deficiency judgment. Unsecured loans have no collateral. If you fail to repay an unsecured loan, there is no property for the lender to take back. However, this does not mean lenders have no recourse if you fail to repay an unsecured loan. The lender can take you to court. If the lender wins and obtains a judgment, it gains the right to enforce your debt in several ways. Lenders with judgments (called judgment creditors) can have your wages garnished (up to 25 percent). They may be able to place a lien on your home, which prevents you from refinancing or selling until the debt is paid. They may be awarded money from your bank accounts. In some states, judgment creditors can force you to sell your home or personal property in a public auction conducted by sheriffs or marshals. The proceeds are applied to your outstanding debt. Installment loan interest rates vary widely, depending on their purpose and the borrower’s credit rating. If you have great credit, you can finance a car for under three percent in 2016. The highest rates go with unsecured loans for borrowers with low credit scores – in some states, rates for subprime personal loans can exceed one thousand percent. These loans are often offered by payday lenders and check advance providers and should be avoided, says the Consumer Financial Protection Bureau (CFPB). However, if your credit is average-to-excellent, you can borrow at a decent interest rate – generally less than those offered by credit card companies. An online search for personal loans for mainstream borrowers turns up fixed interest rates ranging from about five percent to approximately 35 percent, with terms between one and five years. 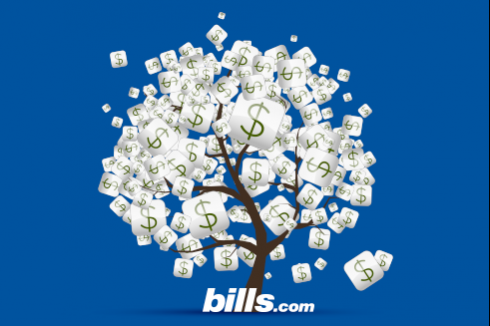 If you want installment loans with the best terms and rates, you need decent credit scores. This is doubly true if you’re looking for unsecured financing. Your credit rating indicates to potential lenders how well you manage your obligations and predicts your likelihood of satisfactory repayment. In addition to protecting your credit rating, you can lower your interest rate by shopping with competing lenders and comparing several offers. That’s easy to do online – a few minutes of research could save you serious money. It’s important to compare loan fees as well as interest rates. Installment loan annual percentage rates, or APRs, must be disclosed by law. APRs make it easier to compare loans with different interest rates, terms and fees. If you compare these three-year, $2,000 loans, the APRs can tell you which loan is cheaper. Loan A has a 10 percent rate and $200 in fees. Its APR is 16.7 percent. Loan B has a 15 percent rate and $20 in fees. Its APR is 15.7 percent. Loan B is the less expensive loan, even though it has a higher interest rate. Finally, shorter loan terms are less risky for lenders and come with lower interest rates. Choose the shortest term you can safely handle for the lowest interest rate. The chief protections for consumers with installment loans are caps on interest rates and loan fees. However, states vary widely in the amount of protection they provide, as you can see from the National Consumer Law Center chart below. The loan terms must be fully-disclosed upfront to be enforceable. If you think your lender did not follow the law, you can file a complaint with the CFPB. If you’re having trouble repaying your loans, you have options. You may be able to lower your car payment, for example, by refinancing to a lower rate and / or a longer term. You might sell your vehicle and buy a less-expensive one (or take public transportation). You can ask your lender for an extension or modification. If your issue is temporary, your lender may allow you to make up missed payments by paying extra each month. For unsecured installment loans, try a reputable credit counseling service. They can teach you to manage debt, work with your creditors to obtain more affordable terms, and create a debt management plan, in which you make a single monthly payment to the agency and it distributes the money to your creditors. Installment loans can be among the cheapest and easiest loans to manage, if your credit is good and you shop around for a good deal. Their fixed rates and payments make budgeting easier. However, even installment loans can be hard to repay if unexpected financial difficulty finds you. It’s important to face your problems as quickly as possible and get the help you need to regain your footing.